Published in London by Folio Society. 2014. First Thus. Fine Hardback. No inscriptions or bookplates. Fine slipcase. Introduced by Clare Mulley. An enthralling account of SOE resistance in Crete. This edition features an insightful new introduction, decorative endpapers and a facsimile of a War Office map, included in a sleeve inside the cover. Hide and Seek is a first-hand account of SOE resistance in Crete, written by one of its most valuable operatives. A born rebel, Xan Fielding dreaded the rigidity of the army more than any physical danger. For him, SOE was the perfect fit. He infiltrated Crete in 1942, and was responsible for gathering intelligence from the western half of the island, while his lifelong friend and fellow Greek speaker Patrick Leigh Fermor covered the eastern side � with George Psychoundakis, the 'Cretan runner', their go-between. 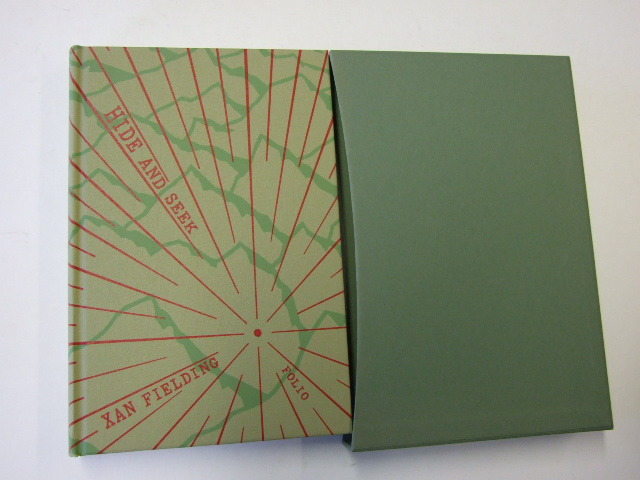 Bound in cloth, printed with a design by Neil Gower. Set in Photina. 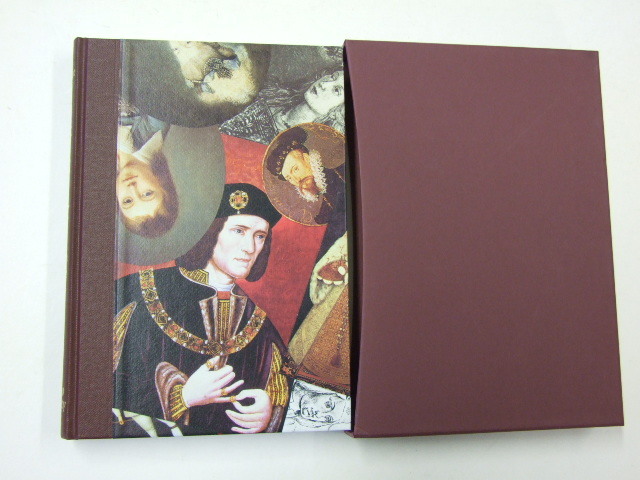 232 pages; frontispiece and 12 pages of colour and black & white plates. Printed endpapers. 9�" x 6�". A modest account of Xan Fielding's considerable achievements. 'One of the great books of the Second World War'. ANTONY BEEVOR. Every page of Hide and Seek breathes the tense exhilaration of these years, from close encounters with drunken German soldiers to being entertained by villagers while sheltering in the Cave of the Cyclops. Fielding describes modestly his considerable achievements, which include brokering a peace agreement between rival Cretan factions, and writes with unflinching honesty about difficult situations such as his own role in the botched execution of a German deserter. The book ends with an account of his time in occupied France. Fielding was arrested at a German checkpoint in 1944, but was saved by his fellow SOE officer Christine Granville, to whom Hide and Seek is dedicated. In her introduction, biographer Clare Mulley praises Fielding's war contribution, and the immediacy of this story, with its 'fresh air that blows straight in from wartime Crete'. The picture selection includes previously unpublished images sourced for this edition from a private archive in Crete. Documents including Fielding's DSO award commendation are reproduced in an appendix. The endpapers show a list of code-names such as 'Tantalus' and 'Vicar', and a facsimile of a War Office map of west and central Crete, created in 1943, is included in a sleeve inside the back cover, both typed and annotated by Leigh Fermor. Click here to read part one of Picture Editor Laura Canter's blog on her search for visual material. Read part two here. Danger intrigue and mild inebriation. I first read Hide and Seek while writing my biography of Krystyna Skarbek, aka Christine Granville, the first woman to work for Britain as a special agent during the war. Christine had saved Xan's life, at huge personal risk, in the summer of 1944 while they were both serving in occupied France. Xan dedicated Hide and Seek to her memory. Researching this introduction has given me the chance to look at the other side of that story, reading around Xan's life and talking to many people who knew him. Biographies, unlike memoirs, are one step removed from the history they tell, arguably as much a mirror reflecting the author's times and opinions as an open window on to the past. Part of what I found so compelling about Hide and Seek was the immediacy of the story: the fresh air that blows straight in from wartime Crete. Although the book was first published in 1954, Xan wrote from his wartime notebooks � a collection only missing the one volume inconsiderately eaten by Cretan pigs in 1942. Furthermore, Hide and Seek comes across as unfiltered by any self-serving agenda. At times this makes Xan's war seem rather jaunty. Letters reveal that, although he occasionally had to evacuate colleagues when 'the toils of Venus' proved more distracting 'than those of Mars', Xan himself wisely avoided romance while on operations. Innumerable days were spent sitting half-naked in the sun, however, writing diaries, messages and reports, sometimes in sonnet form just for the fun of it. Evenings were passed hiding out in vineyards or reeling, Xan wrote, 'happily from house to house eating and drinking with hosts who seemed as carefree as though no German had ever been heard of in Crete'. Getting 'lightly drunk' gave him and his fellow agent Paddy Leigh Fermor 'an illogical sense of security' he even noted, so that, after one close shave with Germans recruiting forced labour, the two of them almost looked forward to more encounters. Plenty were to come. Later, though, this same honest story-telling makes the horror of war, and its demands, all the more palpable. . An extract from Clare Mulley's introduction. From the Folio Society description.